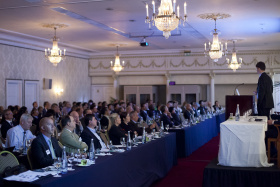 Now in our 17th year, we have held successful events in South Africa, Spain, UK, Malaysia, Peru, and Canada. These conferences have been run on behalf of our associations. Whether you need to organise a Conference, Exhibition or Workshop, our bespoke event organisation service will ensure your concept is delivered. You do not need to be an association client to use our event services. Attention to detail is key in the organisation of any events and our staff have over 31 years experience with a variety of events both UK based and International . We have a “hands on” policy to ensure your events run smoothly.